CBS has a new drama starting this fall called "Three Rivers." The show is about a transplant hospital and begins in October. Previously, Hollywood has not been to kind to the transplant cause with shows that were inaccurate and took too much "creative liberty." I'm hoping "Three Rivers" will be different. It's definitely worth a look. I'm hoping it will be accurate, real, heart warming, and show organ donation as a positive. For more information visit http://www.cbs.com/primetime/three_rivers/. 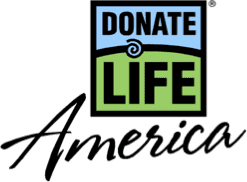 Lastly, please visit the Donate Life America website by clicking here to learn more about how to sign up to be an organ and tissue donor. You could save a life .... just like someone did for me. P. 900 thru P. 913 line 12 creates the Public Health Workforce Corps (PHWC). Both loans and scholarships will be available for people who sign up to help pay for their medical education. They will have to work for the government in the Corps to pay off the loans. They will also be paid stipends and salaries. The cost to taxpayers - $588 Million. It will be available for doctors, nurses, dentists, dental hygienists, and veterinarians. Yes, you heard right - veterinarians. We, the taxpayers, will pay to train people to care for animals. Apparently, not only has ACORN got its hand in the cookie jar but now PETA (People for the Ethical Treatment of Animals) and the Humane Society do, too. One other thing - the Corps will include both Regular and Reserve Officers. What is this - the healthcare draft ?? P. 913 line 13 thru P. 914 creates affirmative action in the PHWC. P. 915 thru P. 917 line 8 mandates that health care professionals be bilingual. Is this so they can treat illegal aliens ?? P. 932 thru P. 937 line 5 creates the Preventative and Wellness Trust Fund by transferring nearly $31 Billion from the Public Health Investment Fund (see yesterday's post). The money will be used to create a national strategy to identify specific goals and objectives for prevention and wellness activities such as diet improvement. Sounds like the government is wanting to control us. P. 980 line 5 thru P. 980 line 11 creates a massive government bureaucracy to implement the new public health infrastructure including best practices going forward, grants, and health information systems. When has the government ever known anything about best practices ?? Do we really need or want this "Big Government" ?? P. 993 line 1 thru line 11 establishes school based clinics. P. 994 line 23 thru P. 995 line 2 says the school based clinics will be "integrated" into the school environment. What does that mean, exactly ?? P. 1001 line 9 thru P. 1002 line 4 establishes a National Medical Device Registry that will require all manufacturers of medical devices (i.e. - pacemakers, insulin pumps, etc.) to furnish the Secretary of Health and Human Services with a list of Americans that have their devices and identifying information (serial numbers) of those devices. Doctors and the manufacturers are already keeping this information for each patient. Why does HHS need it, too ?? More bureaucracy and red tape. HHS is gonna keep this medical device information for a number of reasons including for "other postmarket device surveillance activities of the Secretary (of HHS) authorized by this chapter" (P. 1003 line 9 thru line 11). Surveillance ?? What are they gonna do - put a GPS tracker in my pacemaker to track me ?? P. 1008 line 4 thru P. 1012 line 6 creates grants to health services entities for education expenses for people who want to become nurses due to the nursing shortage. However, the entity MUST meet certain requirements in order to be eligible for the grants. It must offer the nurses benefits required by the Federal government, be unionized, and have partnerships with community organizations. Sounds like payback to unions and ACORN. P. 1018 line 6 thru line 19 sets requirements for State participation in universal healthcare. Well, that basically covers it except for the amendments. I've read a few of them but not all. There are 40, and the very first one is over 1000 pages. I decided to do this series after receiving an e-mail from a friend that outlined many of the items I've listed this week. I included some of those things and added a few of my own that I picked up on when reading the bill. The outline was put together by Mathew D. Staver who is Founder, Chairman, Dean, and Professor of Law for the Liberty Counsel at the Liberty University of Law. I like to verify stuff I read. So, I took the points in his outline, downloaded the bill from the House website, and began reading through it to see if what Staver listed was actually what the bill said. 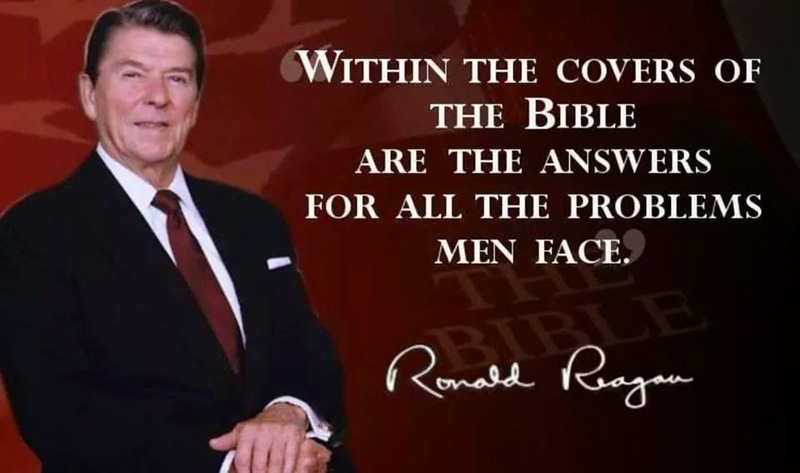 In most cases it was, but in others I did not read it the same way he did. That's one of the biggest problems with the bill. It is so vague and wordy that it can be understood to mean different things to different people. That's what makes it dangerous, too. For instance, the portion from P. 425 thru P. 430 that has caused all the controversy about end-of-life issues and possible euthanasia is a great example. I have read that passage multiple times. In my opinion, it could be about informing someone about their options for dying, and it could also be telling us that we will have to get the government's permission to receive expensive health care in order to live. We might have to justify why we think we deserve to live. Either way, it is a part of our lives that the government needs to stay out of. These things are a personal decision that should be left to us and our families - period. The other big problems that I have with the bill include the creation of a huge bureaucracy, all the mandates which take away choice and freedom, the amount of intrusion into our private lives, the costs that will only increase, and what amounts to political payoffs of IOU's to ACORN and unions. Some have asked if I believe all the stuff I've mentioned this week will come true. The truth is I do not know. The scary part is that with the way the bill is worded it is all possible. Lastly, we've heard recent news reports where the White House has asked for people to inform them of any "fishy" e-mails they receive regarding health care reform. Basically, they want Americans tattling on each other. In fact, Fox News has reported cases where Americans have received unsolicited e-mails from the White House that they received because they believe they were reported. It's very possible that my blog has been reported to the White House by someone at sometime this week. Am I worried about it ?? No, not at all. After fighting a brutal 11-year battle with heart disease and surviving a heart transplant, I don't scare to easily. The blog is my way of serving my country and I will continue doing it for as long as the Lord sees fit to give me a breath and a pulse. P.S. Today, I am celebrating the 2 1/2 year anniversary of my heart transplant. I am thankful everyday to be alive and I pray I have many more. P. 621 line 20 thru 25 says the government will define and develop "quality measures" (QM) for healthcare. Hmmm, the Federal government and quality - isn't that a bit of an oxymoron ?? P. 622 line 2 thru 16 the government is gonna spend $2 Million per year from 2010-2014 that they transfer from other trust funds to pay for these QMs. These better be some dang good quality measures. P. 623 line 23 thru P. 624 line 15 says the QMs will be designed to assess outcomes and functional status of patients. Plus, they will be designed to "assess health disparities including those associated with race, ethnicity, age, gender, place of residence, or language." I saw an e-mail where the writer claimed this was profiling and could lead to discrimination in healthcare. Sounds possible based upon the wording in the bill. P. 630 line 9 thru P. 632 line 2 says that multi-stakeholder groups including unions and community organizations will be formed to develop these QMs (ACORN again ??). Plus, $1 Million is gonna be appropriated each year from 2010-2014 to pay for it. P. 632 line 14 thru P .633 line says once these QMs are developed, the government can choose to implement any of them. Think about that for a minute in regards to what some of them may be. Spooky, huh ?? P. 635 thru P. 653 says ANY and ALL transactions between manufacturers and distributors of medical equipment, supplies, and medication to doctors, hospitals, pharmacies, and others MUST be disclosed to the Secretary of Health and Human Services. Per each transaction not disclosed the violator will be fined at least $1000 up to a maximum of $10,000. If they KNOWINGLY fail to disclose, the fines jump to a minimum of $10,000 up to a maximum of $100,000 per transaction. Bascially, they will have to tell the government EVERYTHING about anything they do. Ridiculous. P. 660 thru P. 661 line 4 says that if a hospital has unfilled residency positions, they will lose 90% of them. P. 667 line 6 thru line 16 says the residencies lost (above) will be given to other hospitals who "have in effect formal arrangements" (what does that mean exactly ??) with the Secretary of Health and Human Services to train in Federally qualified health centers, rural health clinics, other non-provider settings, and that emphasize outpatient services. Sounds like someone's paying off some political IOU's and "spreading the wealth." P. 676 thru P. 686 line 5 outlines how the government will regulate EVERY aspect of residency programs. P. 686 line 15 thru line 21 says the government will spend $100 Million per year starting in 2011 to fight waste, fraud, and abuse. Isn't this the same government that spent $19 Million on a website to track the stimulus funds ?? How about let's try this idea - the best way to not waste money is NOT TO SPEND IT IN THE FIRST PLACE !! P. 697 line 22 thru P. 698 - I almost pulled my hair out when I read this. It shows how ludicrous this whole thing is. It says that service providers will be fined $50,000 each time they prescribe a drug or service for someone who is not eligible for Federal health care. Uhhh .... hello. I thought this was Universal Health Care which means that everybody is eligible and everyone has it. So, why would these fines even be necesary ?? Makes absolutely no sense. P. 701 line 15 thru P. 704 line 16 says that if any part of your healthcare plan is NOT in the government exchange then you do NOT get benefits. That means that if you go to see your PCP when he's in the plan, he refers you to a specialist for a procedure, in the meantime the PCP drops out, then your on the hook for the entire cost of the procedure that the specialist did. Doesn't sound too good, does it ?? P. 705 thru P. 707 states if the government gets complaints on a healthcare provider or supplier, the government can do a background check and issue sanctions including dis-enrolling that entity from the program. Oh yeah, one other thing - no judicial review or appeal of the government's determination is allowed. Denies due process. P. 717 lines 5 thru line 23 contains some GOOD NEWS. The maximum period for providers to file Medicare claims is reduced from 3 years to 1. Should be a big plus for patients as it will speed up their claims. P. 719 line 11 thru P. 720 says that any doctor who orders durable medical equipment or home medical services must be enrolled in Medicare. No choice. P. 722 line 17 thru P. 723 line 14 mandates that doctors MUST have face to face meeting with patient before prescribing home health services. What are you supposed to do if you're disabled, live alone, and don't have transportation ?? P. 724 lines 16 thru 24 gives government the right to apply face to face requirement to ANY other healthcare service. Could this include a prescription refill, too ?? How's that gonna keep cost down ?? P. 735 lines 16 thru P. 736 line 3 allows the Secretary of Health and Human Services to give the U.S. Attorney General access to ALL health data. P. 757 lines 22 thru P. 762 states the Federal government will shift burden of payments to Disproportionate Share Hospitals (DSH) off to the states. DSH is a program where the Feds pay hospitals that care for a large number of indigent patients for those services. They will shift the burden as follows - $1.5 Trillion in 2017, $2.5 Trillion in 2018, and $6 Trillion in 2019. Many governors are opposed to the bill because their states don't have the funds available to pick up the tab. P. 768 line 4 thru P. 769 line 5 discusses Nurse Home Visitation Services. Some have said this section subtlely allows for government funded abortions when it mentions "increasing birth intervals between pregnancies." No specific mention of abortion is mentioned but if you think about that phrase, it makes you wonder what it really means. P. 773 line 4 thru line 17 mandates eligibility for Family Planning Services and says "medical assistance shall be limited to family planning services and supplies." Could this be about government funded abortions ?? Once again, no specific mention is made, but it leaves the door open. Plus, doesn't Planned Parenthood promote abortions under the guise of "family planning ??" P. 789 lines 19 thru P. 795 says government will set and regulate drug prices allowing them to control which new innovative life-saving drugs make it into the market. There goes innovation. This could prevent cures and treatment for some of the worst diseases from ever being developed because drug companies will not be able to recoup their costs. Tragic. P. 797 line 21 thru P. 801 line 3 says that the government will make payments for graduate medical education allowing them to control doctors education. P. 820 thru P. 823 line 18 says that upon the request of the Commissioner of Social Security you must provide all your financial information to the government so they can determine if you are eligible for low-income subsidies if you are on Medicare. They can ask for the same information if you are receiving low-income subsidies and they suspect you are actually ineligible. This allows them to go on a fishing expedition in your financial information without any probable cause. Once again, violates due process. Plus, the argument could be made that it's illegal under the 4th Amendment prohibition on unreasonable searches and seizures. P. 824 lines 15 thru P. 826 line 4 sets up Comparative Effectiveness Research Trust Fund. Guess where part of the money is coming from ?? It's gonna be transferred from the Medicare Part B funds and the Medicare Prescription Drug Account. Medicare is going broke, so why are they robbing it to set up another trust fund ?? P. 829 thru P. 833 imposes a fee on ALL private health insurance plans and self-insured plans to be paid by the insurer. P. 835 lines 11 thru line 13 says that fee WILL be treated like a tax. Anyone wanna guess why ?? It's because that way they have greater enforcement powers for collection and prosecuting any insurer who doesn't pay up. P. 838 thru P. 845 line 20 creates a Home Visitation Program for families with young children or who are expecting. Basically, the government will come into you home and teach you how to raise and care for your kids. It's the nanny-state on steroids. P. 859 thru P. 861 line 19 establishes a Public Health Fund at a cost of nearly $89 Billion. It will start funding at $4.6 Billion in 2010 and increase every year until 2019 when $12.7 Billion will go into it. In just 9 years, the annual funding increases by over 275%. So much for cost containment. One other thing - guess where the money comes from ?? The $787 Billion American Recovery and Reinvestment Act of 2009 a.k.a. The Stimulus Package a.k.a The Pork-ilus Package. Yeah, that's right - it's all borrowed !! P. 865 thru P. 894 line 6 creates the National Health Service which is a program where doctors perform mandatory service to pay off their student loans. Taxpayers are gonna pay out about $4 Billion for this program from 2010-2019. It will allow the government to take over the education of medical students, dentists, and dental hygienists. Nurses will be able to join, too, if they are willing to work at healthcare facilities with nurse shortages. There is also a provision to establish "nurse-managed health centers" because the government is anticipating "health professional shortage areas." Think about it - in the last 4 days, you've read about all the bureaucratic red tape - if you were a doctor or nurse, would you want to stay in this if it passes ?? Whew !! I'm beat. We've only got another 100 pages to go. Tomorrow ... it's done. There's not many highlights left. We'll hit those tomorrow, tie it all together, and I'll provide some more sources of info. One other quick thing - I've mentioned ACORN's involvement several times. Sometime in the next couple of weeks, we'll look at them. If you're curious in the meantime, Google them. See what ya find. If you take blood pressure medicine, make sure you have taken it before reading today's post. You may need it. Today's highlights are below and here's the link to the bill again - http://edlabor.house.gov/blog/2009/07/americas-affordable-health-choices-act.shtml. P. 401 thru P. 402 line 10 provides for the Secretary of Health & Human Services to conduct a study to make Medicare services available for people who are "limited English proficient" (LEPs). This section will pay for interpreters for payment processing and may require health services providers (i.e. - doctors, hospitals) to provide interpreters, also. Is this the government's way of making Medicare available to illegal aliens ?? The other question is how limited does a person's English have to be to qualify ?? No guidelines are set within the bill. P. 405 line 14 thru P. 407 line 16 provides for grants to eligible service providers to improve communication with LEPs. The government will determine who qualifies as "eligible" and also give priority in the grant process to "applicants who have developed partnerships with community organizations" (i.e. - ACORN). P. 414 line 13 thru 16 says that participants in the LEP program will have NO co-payments. If this program is indeed for illegal aliens, it will be free to them. P. 415 line 17 thru 20 says that $16 Million will be appropriated to administer this program. That's $16 Million of our tax money that could potentially go for health care for illegal aliens. The government WILL mandate an Advance Planning Consultation (APC) with your doctor every 5 years if you are on Medicare. This includes living wills and durable powers of attorney. Furthermore, the government WILL dictate what must be in these documents. You HAVE to do it - NO choice - period. These APCs WILL be done more frequently as a patient's health declines. The terms "life sustaining treatments or similar orders" and "end-of-life services" are used regularly throughout this section. Some believe this wording sanctions euthanasia for the elderly and chronically ill even though there is NO specific mention of such. However, the terms and wording mentioned above could be interpreted in a way that makes it possible. It's not a risk I'm willing to take. How about you ?? P. 469 thru P. 473 discusses Community Based Home Medical Services and monthly payments to these non-profit entities. Could this be "ACORN Health Care Services" or "The ACORN Clinic" or something similar ?? It's possible. Is there anything regarding Obama that they don't have their hands in ?? P. 483 line 10 thru P. 488 FINALLY .... MORE GOOD NEWS !! Co-insurance will be waived for Medicare preventive services including prostate cancer screenings, colorectal cancer screenings, diabetes management training, glaucoma screenings, cardiovascular screening blood tests, mammography screening, vaccines, and others things. P. 489 line 19 thru P. 492 says the government will cover Marriage Counseling and Family Therapy as well as define and develop it. Let me get this straight - many members of the Congress and Senate have been caught committing adultery and been divorced multiple times, but yet they are gonna tell the rest of us how to be good spouses ?? Plus, they fight and bicker constantly and are the most dysfunctional group of people in the country, and they're gonna try to fix dysfunctional American families ?? Yeah, right. Good luck with all that. P. 502 begins talking about the creation of the Center for Comparative Effectiveness Research and this concludes on P. 524. The Center will build registries and data networks from YOUR electronic medical records. Also, they will collect YOUR other secure data from any department or agency in the U.S. whether it's public data or private. Then, the Center will recommend ways that will allow the public to access YOUR data. This could lead to widespread identity theft. Here's the real kicker - there will be NO "fiscal year limitation" on funding for the Center. Maybe the Federal government is gonna print money for them, too. P. 525 thru P. 619 is devoted to nursing home regulations. Nearly 100 pages or one-tenth of the bill. Why so much ?? Are they planning on putting all of us in one ?? Or, maybe they just wanted to be thorough ... for once. P. 551 line 6 thru 22 says the government will conduct a "study" (a.k.a. audit) of nursing homes to determine which ones are "undercapitalized" (a.k.a. broke) and then address options to help them including more regulation. Uh, the Federal government has trillion dollar budget deficits, is printing money to pay its bills, and it's gonna tell nursing homes how to keep from going broke ?? I'm sure that will work out REAL well. Well, we're done for today. Now we're through 60% of the bill which is further than most of the Congressman that will be voting on the thing. Two days to go. Hang in there. We're getting close to completion. Today continues my review of HR 3200 which is the leading health care reform bill currently in the U.S. House of Representatives. As promised, we look at pages 201-400 today. In my opinion, today's section is troubling because it is an attack on our free market economy. Here's the link to the bill with today's highlights following - http://edlabor.house.gov/markups/2009/07/hr-3200-americas-affordable-he.shtml. P. 241 line 6 thru 8 says that ALL doctors will be paid the same no matter their specialty. This will discourage people from becoming specialists. P. 253 line 10 thru 18 says government will "validate" (a.k.a. audit) doctors time, technical skills, professional judgment, physical effort, and stress in pre-, post-, and inter-service components of their work. Afterwards, government "may" adjust fees. Remember, this is all gonna be done by a 27-member committee with only 1 doctor on it. They won't have a clue. P. 268 says government will regulate rental and purchase of power wheelchairs. I wonder if GM (Government Motors) be producing them. P. 269 thru 270 says home infusion therapy services within Medicare will be evaluated to determine savings if it were reduced or eliminated - a.k.a. rationing. P. 272 lines 4 thru P. 273 line 2 - a study will be done to compare costs of cancer treatments at hospitals that specialize in cancer treatments to costs at those that don't. Costs and fees will be see an "appropriate adjustment." Rationing is not specifically mentioned here. However, the language of this section leaves the door wide open. Don't get cancer if the bill passes. P. 280 line 1 thru P. 289 line 8 says the government will penalize hospitals for what it deems preventable re-admissions. Plus, they cannot appeal the government's decision. Eliminates due process. Then, if a hospital begins turning away individuals that might be high risk for readmission because of this, the hospital be penalized for that, too. continuation of above on P. 298 lines 9 thru 11 says if a doctor treats a patient who is then later readmitted, they are penalized. Does this sound like double jeopardy to anyone but me ?? P. 313 line 7 thru P. 318 line 3 says that entities providing medical services must provide the government with ownership information which includes investments and compensation agreements with physician owners. After the bill goes into affect, doctors are forbidden from increasing their ownership share. Furthermore, if a physician within the entity has relatives with ownership shares within that entity, the same information must be disclosed to the government about them, too. The entity must also provide the physicians "unique identification numbers" (not sure what this is but could be SSN). If your physician refers you to a hospital that is owned wholly or in part by doctors, he or she must disclose that to you. ALL of this information must also be disclosed on the public Medicare and Medicaid websites. I believe this will open doctors up to identity theft. Lastly, if a person within the entity or a doctor fail to disclose ANY of this information, they can be fined up to $10,000 per day. Hospitals are also prohibited from expanding. P. 321 line 1 thru P. 325 line 14 provides for exceptions to the rule above that hospitals cannot expand. They can apply (ask the government's permission) to expand once every two years but community input is required (could open the door for more ACORN involvement). If approved, the government will tell them what facilities can be expanded and to what capacity. P. 335 line 16 thru P. 341 line 9 specifically targets Medicare Advantage Plans (MAP) by mandating "outcome-based measures". Current MAPs have better benefits than Medicare alone because the enrollee pays an additional premium for them. This section will enable the government to disqualify MAPs they feel don't meet the outcome-based measures they set. Remember, the government is making the rules. This will enable them to force people onto the public plan. P. 354 line 3 thru P. 355 line 6 - this section is vague but seems to restrict the enrollment of people with special needs after conducting a "study". The word "discrimination" comes to mind. P. 355 line 7 thru P. 358 line 10 - It took 355 pages, but I finally found some good news in the bill !! Medicare Part D enrollees will see a gradual phaseout of the coverage gap or dreaded donut hole. P. 358 line 11 thru P. 363 line 7 requires drug companies to pay "rebates" to the government on the drugs that enrollees in the plan purchase. These rebates primarily target Medicaid, Medicare, and Medicare Advantage Plans. I think you could make a good argument that these "rebates" are more of a tax. Some would argue they're kickbacks. I'll let you decide for yourself. The fact is the drug companies will be required to give more of their profits to the government just to stay in business. We're done for the day. Got three days to go. Tomorrow, I'll cover the section that has everyone upset about end-of-life care and euthanasia. Wondering if the rumors are true ?? I'll tell you tomorrow. Most Americans have heard a lot about what is and is not in the leading Health Care reform bill now in the U.S. Congress. The bill, HR 3200, is officially titled America's Affordable Health Choices Act of 2009. Mr. Obama and others have spent the last several days denying that euthanasia, taxpayer funded abortion, and tax increases are in the bill. This week's blog entries will be devoted solely to hitting the highlights of what is in the bill. The bill is a little over 1000 pages long. As I read through it this week, I'll cover about 200 pages in the blog each day. Plus, I will place a link to the bill (http://edlabor.house.gov/markups/2009/07/hr-3200-americas-affordable-he.shtml) in each day's post so that you can go read it for yourself. You can even save the bill in Adobe Acrobat to your computer if you like. A week or so ago, a friend forwarded me an e-mail with these points in it. However, I decided to go read the bill to verify everything. I have added a few things that I discovered myself to the list. Remember, President Reagan said, "trust, but verify." I must warn you - this may be a long, boring read. However, if health care reform is truly important to you, then I think you will want to stay with me for the entire series. I hope that when I conclude on Friday, you'll have a truthful understanding of what's in the bill and be able to contact your Congressman and Senators to voice your informed opinion. Today we'll look at pages 1 - 200.
p. 16 lines 11 thru 16 say that an individual will not be able to enroll in private coverage if the first effective date is on or after the first day of the year the bill becomes law. p. 21 lines 5 thru 9 say that premiums can vary based upon age. However, the variance can not be more than 2 to 1. What happened to "free health care for everyone ?" p. 21 lines 22 thru p. 23 line 7 - all employers will be studied (a.k.a. audited) to determine capital reserve ratios and whether they can remain a viable business. Based upon the findings of the "study", the law may be adjusted so that employers do not have an "incentive" to self-insure. In other words, the government can change the rules to encourage employers to join the public / single-payer option. p. 29 lines 9 thru 16 basically say that out-of-pocket costs could be as much as $10,000 for family coverage and $5000 per individual per year and will adjust each year based upon the Consumer Price Index (CPI). So, if we experience a period of severe inflation and the CPI increases, guess what ?? Your out-of-pocket max GOES UP, ALSO. 1 doctor (yes, that's right only 1). p. 42 - The Health Care Choices Commissioner will choose your health benefits for you. p. 50 line 21 thru p. 51 line 3 - some have said this section would provide health benefits for illegal aliens. While it does not say those words exactly, the phrase that health benefits "... shall be provided without regard to personal characteristics ..." leaves that possibility open. p. 57 line 10 thru p. 59 line 8 allows the government real-time access to your bank accounts and requires a national health ID card to be issued. p. 72 creates a Health Care Exchange which could make it possible to bring private health insurance companies under government control. p. 84 line 4 thru p. 87 line 2 mandates requirements for all benefit packages for private health care plans in the Exchange. Talks also about Basic, Enhanced, and Premium Plans. Some opponents of the bill have said these different levels of coverage are where the rationing comes into play. However, the bill's language here is very unclear and it could be argued that this section is simply discussing the different plans to be offered. It's open to interpretation. p. 95 line 3 thru p. 97 line 19 - opponents of the bill say this section will enable groups like ACORN to be used for signing people up for this government health care program. The wording is such that it is possible. p 102 lines 12 thru 18 - people eligible for Medicaid will be automatically enrolled. No choice for them. p. 124 lines 1 thru 5 says participating service providers in Medicare are automatically enrolled in the government ran health care option unless they opt-out. p. 124 line 24 thru p. 127 line 16 says the government will set reimbursement rates for medical service providers and they will not be able to appeal. Furthermore, the government will tell doctors how much they can make. Also, it does not address who pays the difference between what the government pays the doctor and the actual charges. So, who pays the difference ?? Is it the patient ?? p. 135 line 12 thru p. 138 line 4 appears to saying that premiums will be based upon your income. What happened to free ?? p. 139 thru p. 141 line 18 talks about income verification during your initial application for health care. This is government-speak for audit. Yes, you WILL be audited before being issued health care insurance and you MUST notify the government of any "significant" changes to your income. p. 149 line 16 thru p. 150 line 18 says small businesses that choose not to offer health care insurance will be taxed as much as 8% if their total annual payroll is over $400,000 and ones with payrolls between $250,000 and $400,000 will be taxed from 2-6%. p. 153 lines 7 thru 18 say that periodic "investigations" (audits) will be done to ensure compliance with the health coverage participation requirements. p. 167 lines 18 thru 23 say that any individual without insurance that meets the "requirements" of the government will pay a tax of 2.5% of income. p. 170 lines 1 thru 3 say nonresident aliens are exempt from the 2.5% individual tax mentioned above. p. 194 line 10 thru p. 195 line 9 amends the Internal Revenue Code of 1986 and says the IRS "... shall disclose to officers and employees of the Health Choices Administration or State-based health insurance exchange ..." your income tax return information. So, where does this disclosure of personal tax information stop ?? Tomorrow, we'll look at pages 201-400. See ya then. Kyle Busch loses, and whines .... again. If you missed the end of the Carfax 250 Nationwide Series race from Michigan yesterday, you missed a good one. Kyle Busch led at the white flag and then finished third. Busch then began his usual whining, crying, and blaming someone else beccause things didn't go his way. He came close to getting a whoopin' put on him by Brian Vickers. Hats off to Brad Keselowski for taking advantage of an opportunity to get a win. Maybe next year Busch should try to get a sponsorship agreement with Kleenex. That way he'll have plenty of tissue at his disposal to cry in. I can already hear the ad campaign - "Kleenex - if it's good enough for Cryin' Kyle, it's good enough for you." I do not believe Busch will become a Sprint Cup champion until he grows up. Check out the video. WARNING - Do NOT Click on Cars.gov - the Cash for Clunkers website !!! Watch video. Some say this was all perfectly legal under the 4th Amendment because the screen in question contains an oath or affirmation and describes the persons or things to be searched. However, they forget that the 4th Amendment also says the search and seizure MUST be reasonable and there MUST be probable cause. There is NO reasonableness or probable cause associated with this search and seizure - period. The only reason the Obama Administration pulled the incriminating screen is because it got caught with it's hand in the cookie jar. They need to be held accountable. P.S. I had promised a post on H.R. 3200, the health care reform bill, today. However, the bill is so massive I have decided to do a complete and thorough series on it next week. Stay tuned. P.P.S. In the video Glenn Beck mentions Obama's Czars. I'll tell you about them in a couple of weeks. Tonight, I'm gonna do something I have not done before on this blog. I'm gonna make a prayer request. Please pray that Astellas' court action be successful. Transplant patients need this. Physician notification when immunosuppressants are changed is VITAL to our safety. It has the potential to be the difference between life and death. Our national parks are seeing a new problem develop. 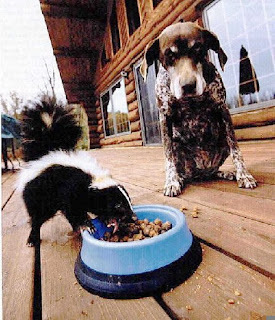 Animals that were formerly self- sufficient are now showing signs of Democratic Party influence. They have apparently learned to just sit and wait for the government to step in and provide for their care and sustenance. 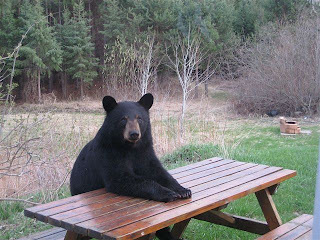 This is a photo of one such Democrat black bear recently seen in Montana. His name is "Bearack". "..... we have no one to blame but ourselves. For too long we have ignored, enabled, or embraced the flawed character of those we've selected to protect and defend our Constitution. By lowering our standards for them, we've lowered the standards for ourselves. We wanted a life of ease, a life of little consequence and high reward. To get it, we repeatedly empowered thieves, liars, and con men, simply because they promised us ease. Now, because we've trained them that repeated injury has no consequence, they've grown bold and fearless. When we do speak up, they ease our pain with pork, a steady stream of entitlements, and financial candy, and back to to sleep we go." When I first read that my reaction was, "We're to blame ?? Are you kidding me ??" However, as I thought about, it occurred to me that he was right. For to long, we have walked into the voting booth and looked for the candidate with the "R" or "D" by their name and pushed the corresponding button. We've had more loyalty to whatever party we affiliate with instead of loyalty to our country and our Constitution. It HAS to stop. Me included. I want to encourage you to go out and buy the book. It costs only about $10 and can be picked up at book stores and discount retailers. I got my copy at Target. It is a good read that makes you think. In my opinion, it's a patriotic pep rally in a book. If it does not motivate you to get involved, there's something wrong with you. P.S. Please be sure to check the blog all week. I'm trying to wade through the health care reform bill and compare what I find to all the stories we've been hearing. I want to see what's true and what's not and share it with you. I hope to do that by Friday. Stay tuned, hang on, and go get Glenn's book. Today, it's back to being a sheepdog. I thought about doing this post last week, but chose to cool off a little first. Last Thursday, we learned that U.S. Senator Lamar Alexander (R - TN) (pictured right) intended to support Mr. Obama's nomination of Judge Sotomayor to the U.S. Supreme Court. I have previously addressed her nomination in this blog and asked readers to contact their Senators asking them to vote against her nomination based upon her record of deciding cases based upon her biases instead of the rule of law. He voted yes to the Emergency Economic Stabilization Act of 2008 which bailed out the financial industry. The $700 billion went to Wall Street investors and banks who had made irresponsible loans to people who could not repay them. These bad loans directly lead to the current economic crisis the country is in. Now, we the taxpayers are footing the bill. In a free market economy, businesses must be allowed to be successful or fail on their own without the government interfering. The financial bailout amounted to socialism. Strike one Senator. He voted no to allowing an individual with a concealed carry permit to carry a concealed firearm in national parks. People with carry permits have them because they want to be able to protect themselves and their families at all times. Apparently, Senator Alexander does not feel they should have that right even though he claims to support the right to keep and bear arms. In his 2008 re-election campaign, Alexander was endorsed by the National Rifle Association. With this vote, he stabbed the NRA and American gun owners in the back. Strike two Senator. As I mentioned earlier, Senator Alexander voted yes to confirming Sotomayor. His reasoning was that "elections have consequences" (see complete text and video at this link http://alexander.senate.gov/public/index.cfm?FuseAction=PressReleases.Detail&PressRelease_id=1ab0fd73-87d7-4c9a-b2c9-28449277c6b9&Month=7&Year=2009). In other words, Obama can do what he wants because he won the election. Apparently, he needs to be reminded the Founding Fathers set up a system of checks and balances, the constitution, when the country was formed. The three branches of government (executive, judicial, and legislative) all have their role in keeping the other branches in check. Part of a U.S. Senator's job is to keep the executive branch, Mr. Obama, in check. He did not do his job in this confirmation process. Strike 3 Senator. Before anybody says, "you're just another one of those Liberal Democrats beating up on a Republican." Nope. Sorry. Not true. Anyone that has been reading this blog or knows me will tell you that I'm not. I'm probably one of the most conservative people you'll ever meet and I tend to vote Republican. I'll admit I have voted for Senator Alexander a few times. However, as a sheepdog, my role with the blog is to lookout for the sheep. I do not care whether a legislator is a Democrat or a Republican. If their policies or votes do not line up with my core beliefs, I will call them on it. When I agree with them, they'll hear that, too. 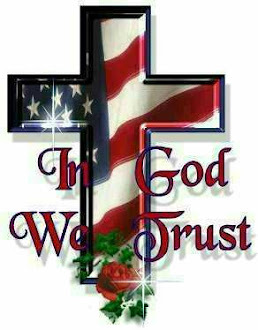 One thing I will always support is freedom and the values this country was founded on. 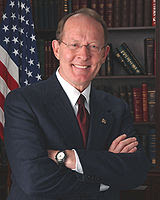 I'm hoping that when Senator Alexander is up for re-election in 2014, a decent candidate runs against him. It appears as if it's time for him to go. Tennessee Beats Florida soundly ..... FINALLY !!! University of Tennessee football fans this post is for you. For the last few years, we have had to endure the University of Florida whipping us on the football field. Now, Tennessee has whipped Florida in something far more important. Some of you are already asking, "What's more important than football ??" Saving lives is. According to an article on pnj.com (http://www.pnj.com/article/20090729/NEWS01/907290339), the State of Florida just rolled out it's organ and tissue donor registry on July 29, 2009. We, the State of Tennessee, rolled ours out in April 2008. We beat Florida by over a year !! Way to go Tennessee !! On Friday, July 24, 2009, I mentioned two pieces of transplant legislation that I've had the honor of working on with the Tennessee legislature. One, HB 635 / SB 109, would have required Tennessee pharmacists to notify a transplant patient's physician anytime the patient's immunosuppressants were changed for whatever reason. The bill did not have the votes to make it out of subcommiteee but a compromise was reached. You may be asking - why was this bill important ?? Right now in Tennessee, a patient's medication can be changed, unless it is an anti-seizure medication, without first notifying the physician. With most medication, it's not a big deal. However, with immunosuppressants it can be. An optimum level of immunosuppressant must be maintained in a transplant patient's bloodstream at all times. Too little and the patient can go into rejection quickly. Too much and the patient can suffer serious side effects, such as high blood pressure and cholesterol, which can lead to a stroke or a heart attack. Also, decreased kidney function can occur leading to possible kidney damage and renal failure. The patient's physician can determine the optimum level based upon his or her experience with the patient. If an immunosuppressant is changed, the physician needs to order labs to make sure the blood levels remain at the optimum level for that patient. The opponents of HB 635 argued that there is no difference between the different immunosuppressants whether it be brand name vs. brand name, generic vs. generic, or brand name vs. generic. Supporters of the bill argued that there could be significant differences. Recently, I ran across the ABC News video "Are You Getting the Right Prescription ??" (click on link below to view) showing there are differences between medications backing up the claims of the supporters of HB 635. In fact, in the video the American Pharmacy Association goes on record as supporting physician notification. Even though immunosuppressants are not mentioned in the video, many transplant physicians believe there are differences among them. Think about it. It only makes sense. If there can be differences within one type of drug, it's reasonable to believe there could be differences between immunosuppressants ?? The video contradicts the arguments of HB 635's opponents based upon one woman's real life story. In my opinion, there is no better evidence than that.